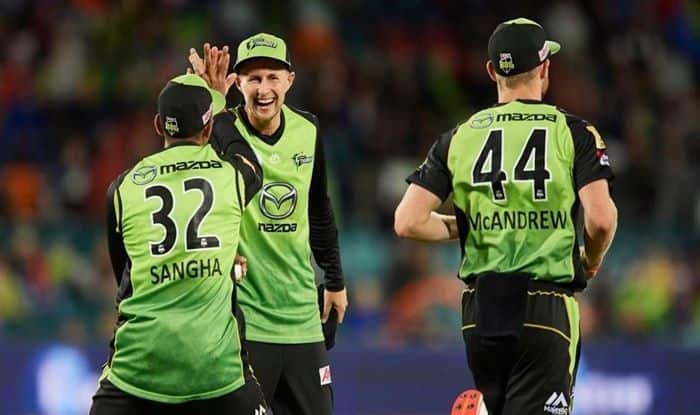 BBL 2018-19 Sydney Thunders vs Brisbane Heat Match 24 Live Cricket Streaming And Updates: Sydney Thunders to host Brisbane Heat in the 24th fixture of the Big Bash League 2018-19 at Spotless Stadium on Tuesday, January 08. BBL 2018-19 Sydney Thunders vs Brisbane Heat Match 24 Live Cricket Streaming And Updates: Sydney Thunders to host Brisbane Heat in the 24th fixture of the Big Bash League 2018-19 at Spotless Stadium on Tuesday, January 08. The hosts are having a roller-coaster campaign as they have won three and lost three out of their six matches. They were completely outplayed by Melbourne Stars in their previous encounter as they were thrashed by eight wickets. Meanwhile, Chris Lynn-led heat is having a disappointing campaign as they have won only one match out of their four matches. 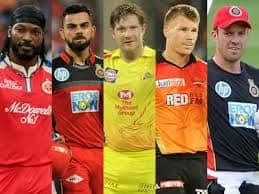 This will probably be the last match for the English-duo Jos Buttler and Joe Root, who are playing for Thunders and this will be a huge blow for captain Shane Watson, ahead of the crucial matches of BBl as Buttler has been in red-hot form for the Thunders with three-half centuries and 268 runs till now. 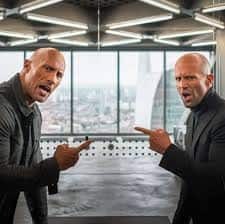 They will be replaced by Anton Devcich and Chris Jordan for the further campaign. They are on a winning streak since last three matches and will be looking to continue their momentum by giving a tough fight to Heat. Chris Lynn and Co. finally broke the deadlock as they won their first game of the BBL 8 by beating Perth Scorchers in their previous encounter and will be boosted up for the upcoming matches. Here’s all you need to know about the 24th match of BBL-8 between Sydney Thunders and Brisbane Heat, at the Spotless Stadium, Sydney. What time does the Sydney Thunders vs Brisbane Heat match in the BBL 8 starts? The Sydney Thunders vs Brisbane Heat match in the BBL8 starts at 1:45 PM IST, January 8 (Tuesday). Where is the Sydney Thunders vs Brisbane Heat match in the BBL 8 being played? The Sydney Thunders vs Brisbane Heat match will be played at the Spotless Stadium. Which TV channels will live broadcast (in India) the Sydney Thunders vs Brisbane Heat match in the BBL 8? Sydney Thunders vs Brisbane Heat match in the BBL8 will be live broadcast on Sony Sports Network in India. How to watch the free online live streaming of Sydney Thunders vs Brisbane Heat match in the BBL8? 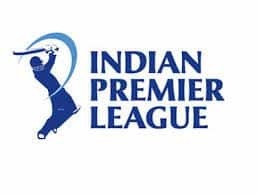 The free online live streaming of Sydney Thunders vs Brisbane Heat match in the BBL8 will be available on Sony Liv app and Jio TV. What are the probable playing XIs of Sydney Thunders vs Brisbane Heat match in the BBL8?